Amy Mills has a Bachelor’s degree in Structural Engineering, and has passed the Seismic Principles Exam to become a licensed engineer in California. She also has over three years of civil engineering experience and twenty-six years worth of earthquake drills. 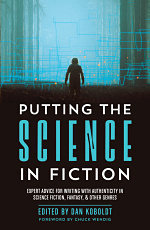 Amy is also a science fiction author with a soft spot for STEM protagonists, adventure, and heart-wrenching romances. When she isn’t engineering or writing, you can find her tutoring math or taking dance classes. She lives in Southern California with her husband and three furry felines. You should follow her on Twitter. I’ve lived in Southern California my entire life, and if there’s one type of natural disaster California is known most for, its earthquakes. Just the other day, I logged into Facebook and the typical “OMG there was an earthquake! Did you feel it?” post popped up. It’s not an unusual question; in fact, I see them every couple months. Even as a kid, I remember holding my breath as lamps rattled and settled before I proceeded to run around and ask other people if they felt the earthquake. Earthquakes were in the news for a few notable reasons this past year: the movie San Andreas, the New Yorker article about the Cascadia Subduction Zone in the Pacific Northwest, and a devastating earthquake in Nepal in April. Even as I’ve been mulling over this post there’s been a 7.5 magnitude earthquake in Pakistan, a 4.9 in India, and a 3.0 within thirty miles from my apartment. Earthquakes are unpredictable, potentially deadly, and a great device in fiction to provide quick devastation and destruction. 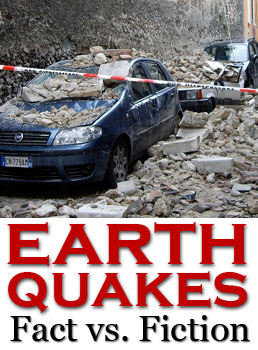 To help you get earthquakes right, here are a few common misconceptions, and a couple tips, for writing earthquakes in fiction. As I said above, earthquakes are unpredictable. Despite extensive research on the subject, earthquakes cannot be predicted with sufficient precision to issue warnings. Due to statistical analysis, scientists can provide long-term forecasts to give a likelihood of a large earthquake happening in the upcoming years but as for the day, the month, or even the specific year, earthquakes cannot be predicted. Not necessarily. While damage would be extensive and there would be loss of life, we probably wouldn’t be looking at a replication of the 1906 earthquake in San Francisco and definitely not the fictional events of San Andreas (which included a magnitude 9 earthquake, a tsunami, and tremors that were felt on the East Coast). California has some of the strictest building codes for earthquake safety in the United States. Plus, scientists believe the largest earthquake the San Andreas Fault can produce is a 8.5 magnitude earthquake, and it wouldn’t be able to trigger a tsunami either (tsunamis generally occur from earthquakes in subduction zones, which the San Andreas is not). Sorry. Even if it does make a cool scene, the ground does not split open in an earthquake. Earthquakes are produced by faults slipping next to each other, not away from each other. No friction = no earthquake. Not to say there couldn’t be ground failures (landslides, spreads, cracks in sidewalks and asphalt) but there would be no gaping chasm in the earth. Don’t worry! 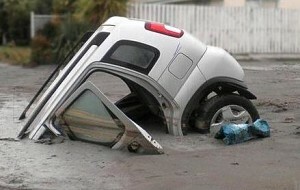 Soil liquefaction, which I talk about later in this post, can provide some pretty nasty devastation instead. Myth #4: A magnitude 7 earthquake behaves the same way in any part of the world. Sadly, no. 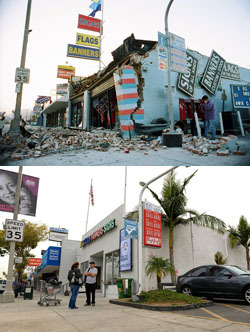 The survivability in the aftermath of an earthquake can be highly dependent on building codes and emergency preparedness. Retrofitting existing buildings to bring them up to code can be expensive and infeasible for poorer countries. In some ways, it’s not about how strong the earthquake is but rather how safe the infrastructure is. This is why the damage and deaths from earthquakes can vary so greatly between countries even if they experience the same magnitude of earthquake. So what can you expect in an earthquake? Here are some realistic effects of earthquakes that you can put into your writing. I think this is everyone’s biggest fear in an earthquake—and with good reason. Buildings and bridges aren’t earthquake proof and the scariest earthquake damage pictures are the ones with crumbled buildings. Building codes are designed to prevent collapse as much as possible, but nothing can prevent cracked concrete or falling debris. This is why it’s extremely important to duck and cover under something sturdy during an earthquake. However, keep in mind if you’re writing science fiction that earthquake technology will only get better and better. Even now, there are some pretty awesome earthquake safety measures being utilized in bridges and buildings. For instance, some structures have been built on base isolators (flexible bearings that separate the foundation of the structure from the ground). The idea is similar to the suspension system in your car. A very expensive suspension system. In California, a few structures are already built (or were retrofitted) with base isolators. These include the Coronado Bay Bridge in San Diego, Los Angeles City Hall, and the Oakland Bay Bridge. Tsunamis—in relation to earthquakes—occur only from earthquakes in underwater subduction zones (like the Cascadia Subduction Zone off the coast of the Pacific Northwest). 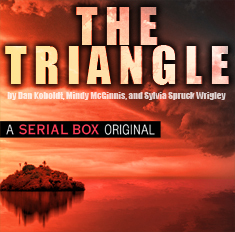 So if you want a tsunami in your fiction, make sure the earthquake happens in the water. It’s amazing how well built the skyscrapers are in Japan. Seeing the tops of buildings swaying back and forth during the earthquake of 2011 left me awestruck. At my work i was called up to help a technician who had moved from Japan hook up a huge, heavy piece of lab test equipment that had also followed him over here Japan. I brought up the earthquake and the swaying buildings. He nodded his head and pointed at the test equipment and said, “It move, 2 meters!”. My jaw dropped at the thought of this enormous machine being tossed across the room like a toy.